SnapCacklePop: One Direction score with fans again..! One Direction score with fans again..! 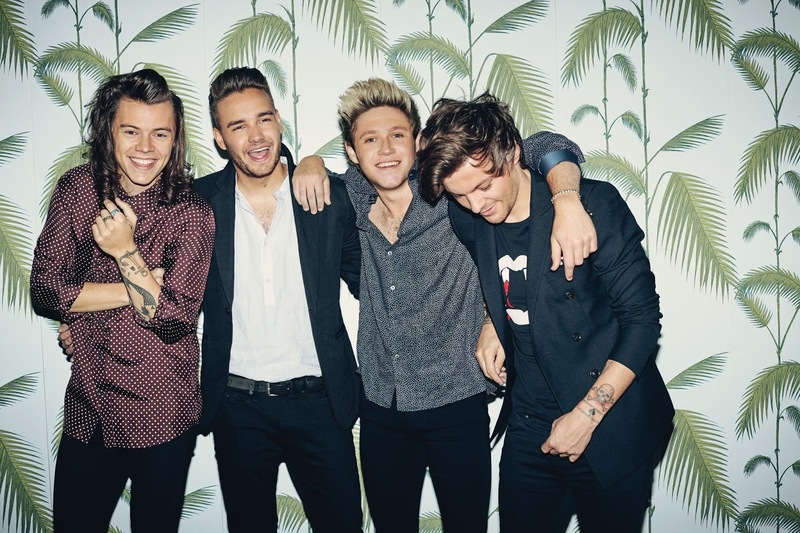 One Direction surprised fans last Friday afternoon with the impromptu release of their brand new single Drag Me Down selling over 500,000 copies in its first week. The track peaked at #1 on iTunes in 90 countries on release, and has debuted at the #1 spot on the ARIA Singles chart in Australia. Since release, Drag Me Down has broken 2 records on Spotify, with the track being streamed 4.75 million times on Friday alone, smashing the 1 day record previously held by Wiz Khalifa (which achieved 4.26 million daily streams during its 6th week in April). The track also shot straight to the top of the Spotify Global Chart on its first day of release, the first track ever to achieve this in Spotify history. Featuring crashing guitars and soaring harmonies, Drag Me Down showcases a more mature One Direction sound. Written by Jamie Scott, John Ryan and Julian Bunetta, and produced by Ryan and Bunetta, the band shot the video for Drag Me Down at NASA’s headquarters in Houston last week being directed by long term collaborators Fulwell 73. The band are currently on the American leg of their massive On The Road Again stadium tour, before they return to the UK in September for another sold out arena tour. Their fifth album is due for release this November. Check out the boys perform the new single on Good Morning America and get your copies on iTunes now..!